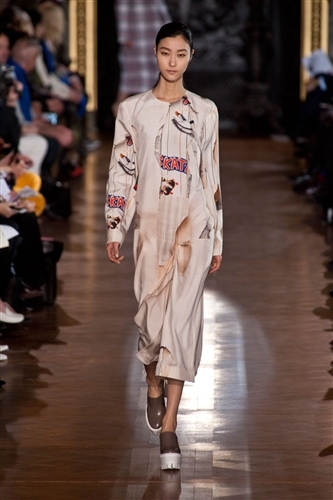 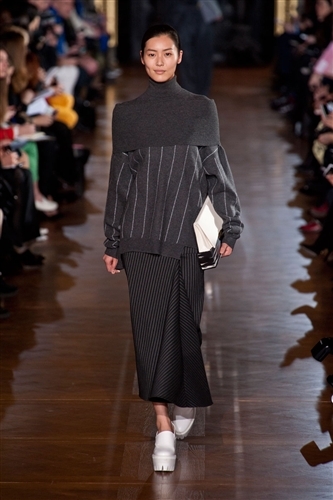 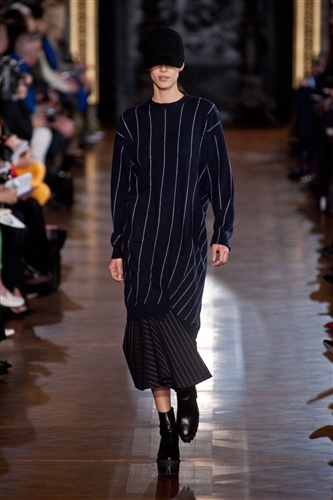 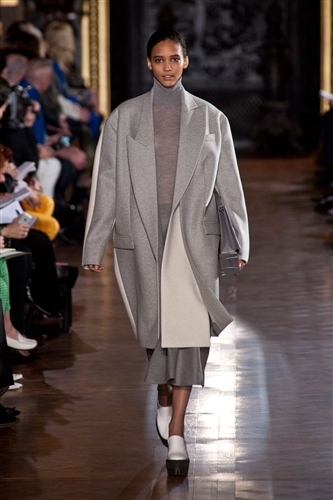 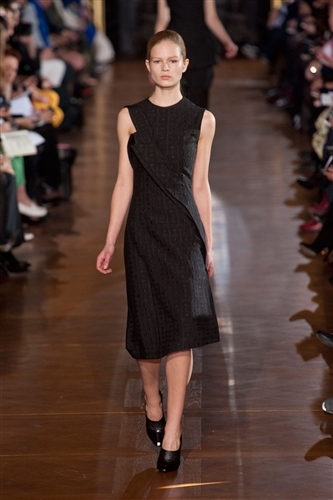 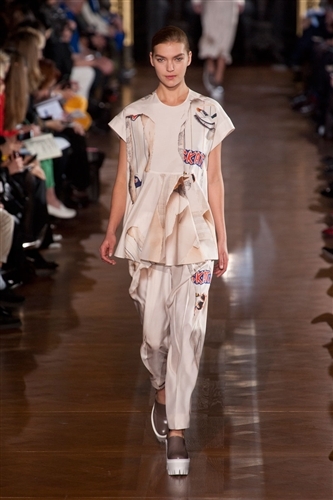 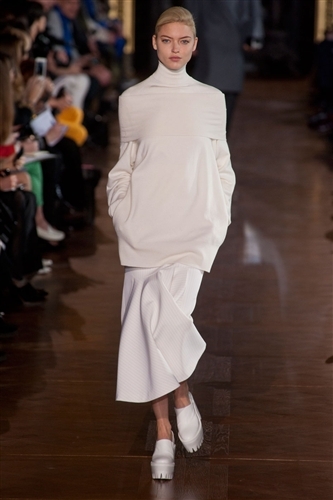 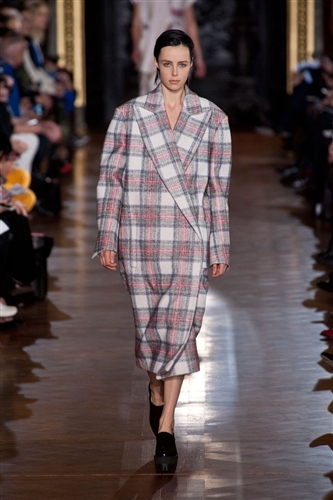 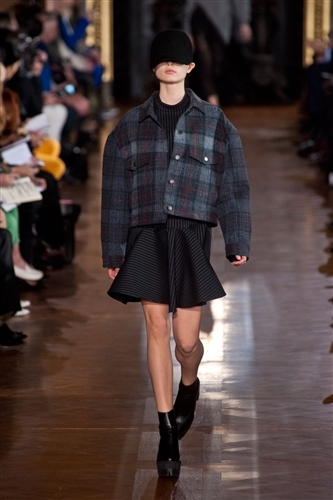 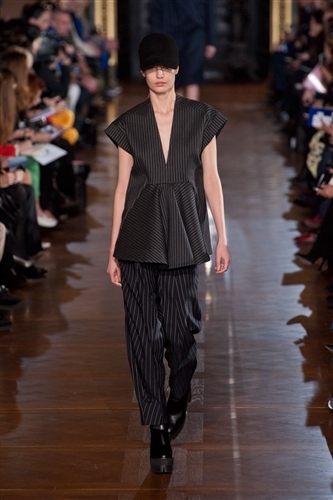 Stella McCartney has a way with clothes, you can’t deny it. 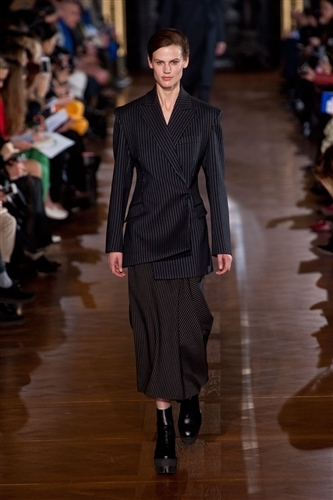 This season she applied her talents to a masculine heavy collection, which has become one of the highlights of Paris Fashion Week. 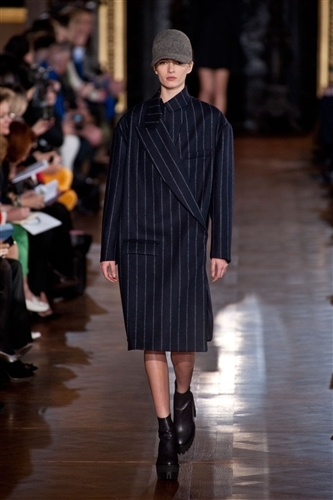 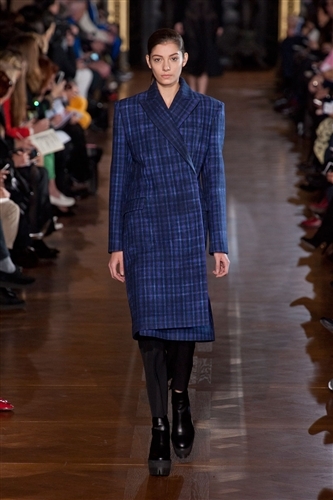 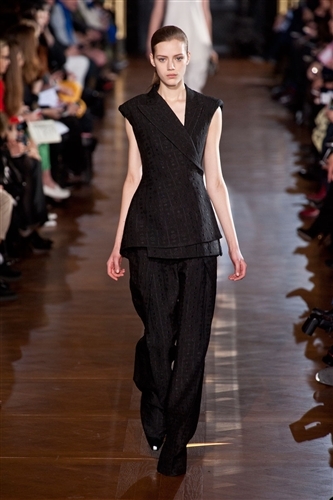 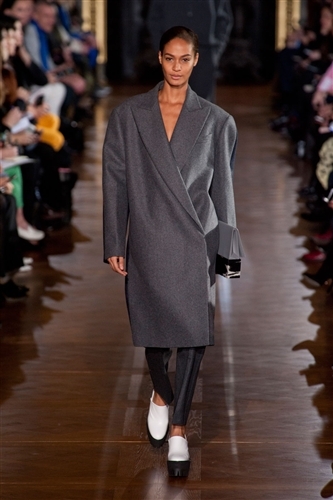 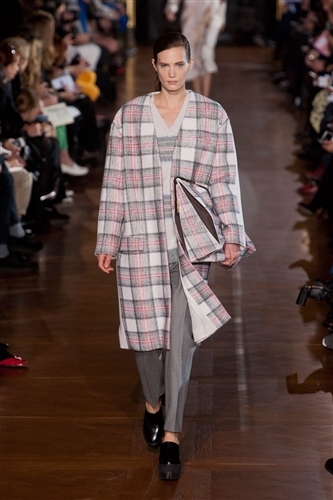 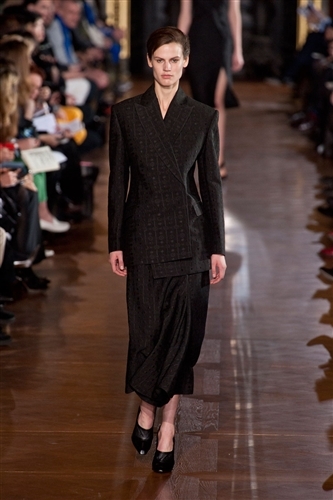 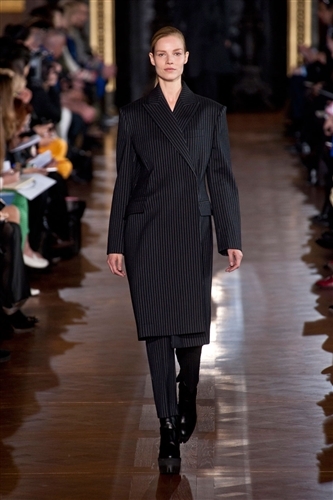 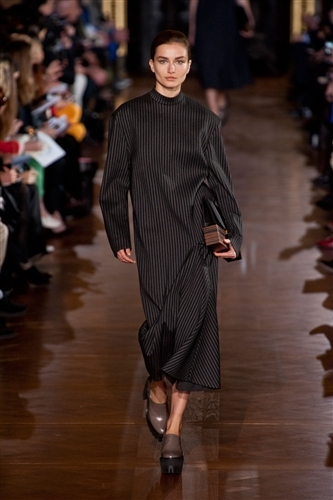 The collection showed picked apart classic menswear that was then re-made in elegant and sumptuous womenswear, for example the pinstripe of a waistcoat become the print on an oversized silk dress or the sharp shoulders of a suit were exaggerated and formed the structure of a sleek jacket. 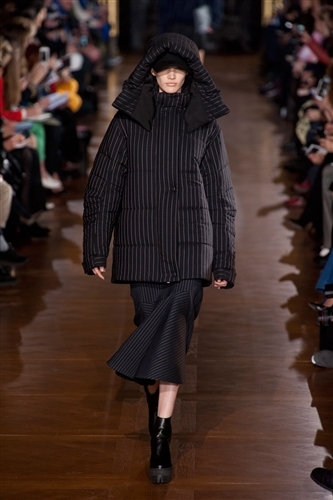 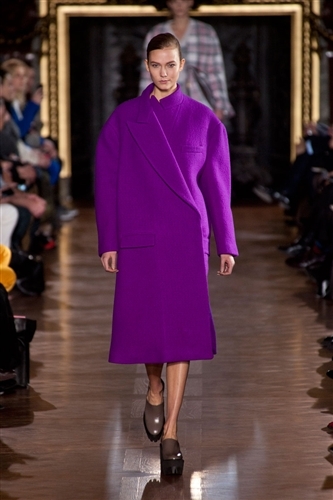 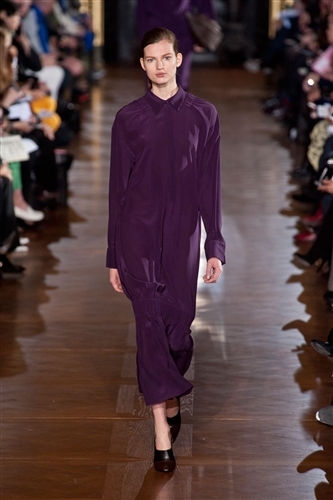 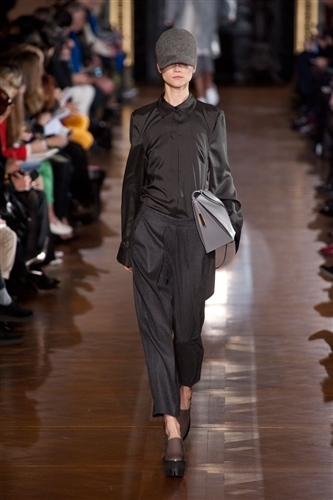 The collection, save for some brief moments of purple, was all grey and black which kept in line with the formal menswear theme and stayed true to Stella’s natural design aesthetic. 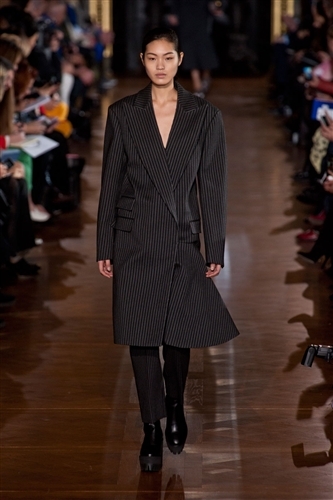 The menswear theme was broken up beautifully by injections of soft, feminine textures like lace and knit, and so otherwise conservative pieces were given a touch of the risqué with suggestive paneling.